When planning your Walt Disney World vacation, you are going to hit the internet, open your Google search bar and begin your journey. Once you type in those keywords, “Walt Disney World” and click enter you are going to be bombarded with dozens and dozens of Disney Blogs. Some are going to be trying to sell you a product or travel agency. There were so many to choose from, but we narrowed our list down to a svelte 38. Here’s how the format of all 38 blogs will look on our list. What kind of Disney articles is this site know for? 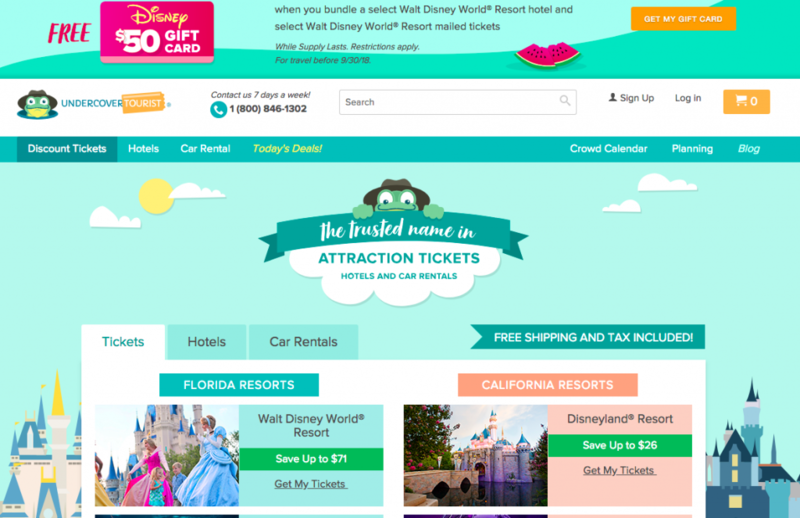 What can visitors expect when they go on this site? Why do I personally enjoy this website? Any down sides? What is the frequency of posts? Is this a site I can use regularly? Let’s get started! 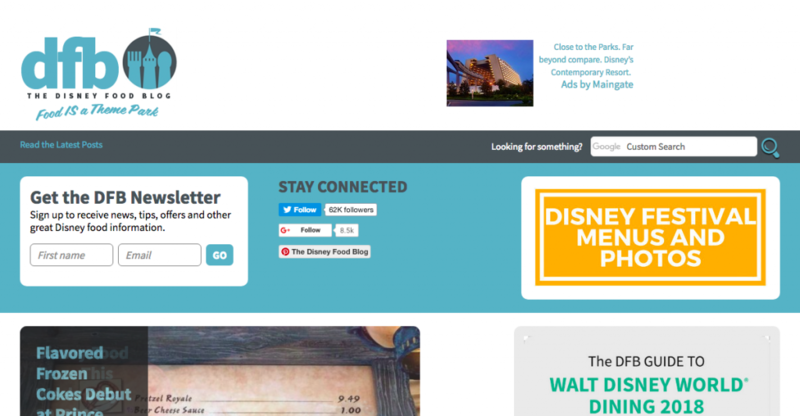 And in no particular, let’s begin with the Disney Parks Blog. 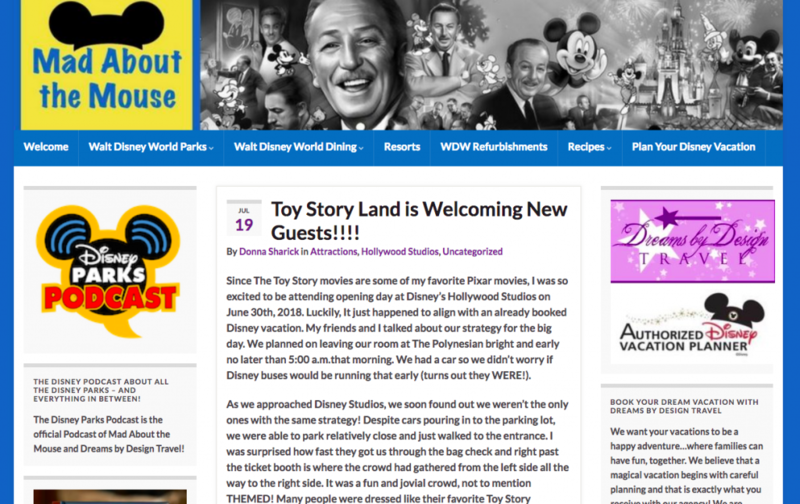 When looking at WDW blogs is definitely going to be your first stop. 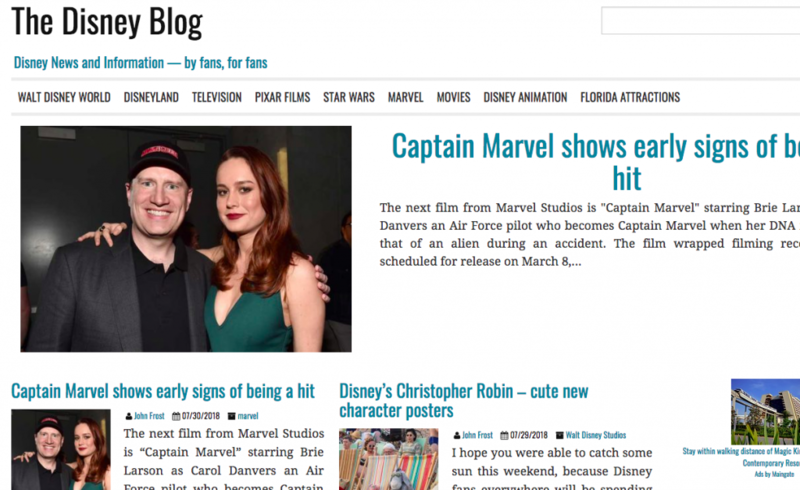 Literally everything you could possibly imagine ever is going to be located within this blog, but remember it is published by Disney so it will definitely only feature the good and not so much the bad. Expect the best and only the best. This is Disney after all and they are going to do their best to never let you down. I personally love that everything about Disney can be easily found in one spot. It allows for me to see what blogs are coming out by Disney and then I can begin my journey looking for reviews on other Disney blogs. The frequency of blog posts are going to be daily so make sure you always check back in so you can see what is new and magical going on at the WDW Resort. 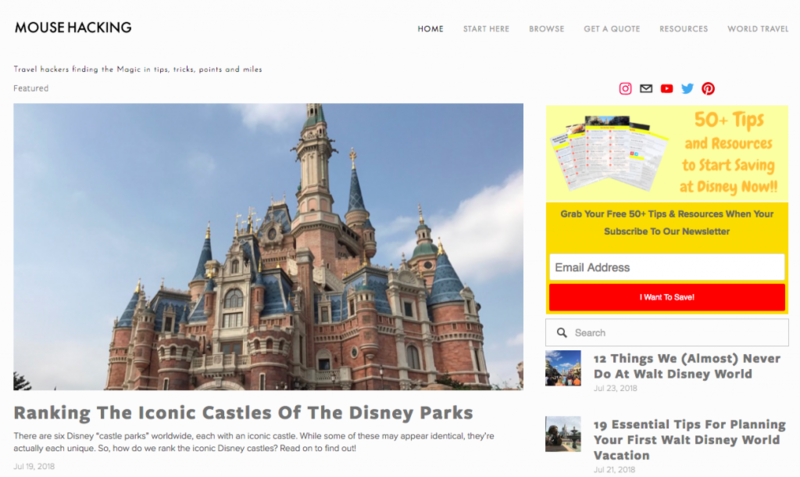 This particular website is an entirely Disney based website mainly focusing on planning your WDW vacation but also a quick way to get your Disney fix when you are at your home away from home. The expectations for this particular site should be high. They cover everything from money saving tips at the theme parks to the best places to stay or just a small little Disney fix. They also cover other Disney locations besides the Orlando resort area and have a whole section dedicated to first trip tips. I personally love this website because of its easy to use format (especially the desktop format). I can easily find what I am looking for and everything is clear and concise. Another huge perk if the frequency! They post at least an article a day which means there is always going to be new content on the website and they are covering some of the most up to date information coming out. 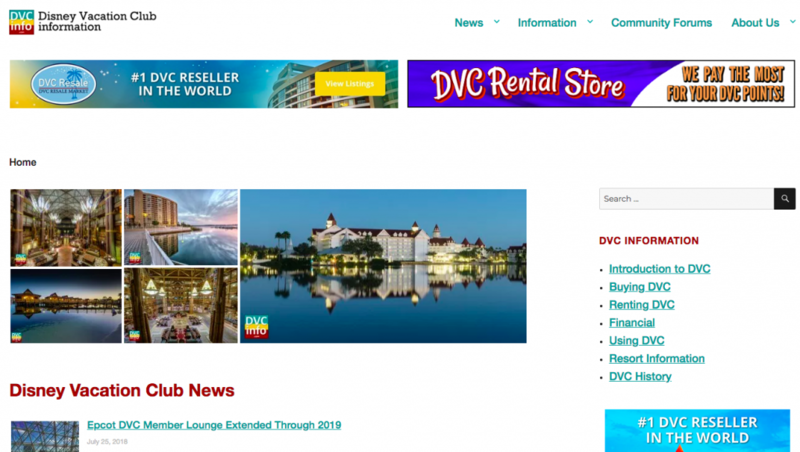 On this blog you are going to see a wide array of articles for the WDW resort from hotels and reviews to what is going to be closed for refurbishment while you are on your Disney vacation. Keep in mind that they are trying to help people score deals on their vacations as well so you will see ads, but the information (especially what is going to be closed) is vital for booking for vacation. Keep your expectations high for Disney World planning tips. 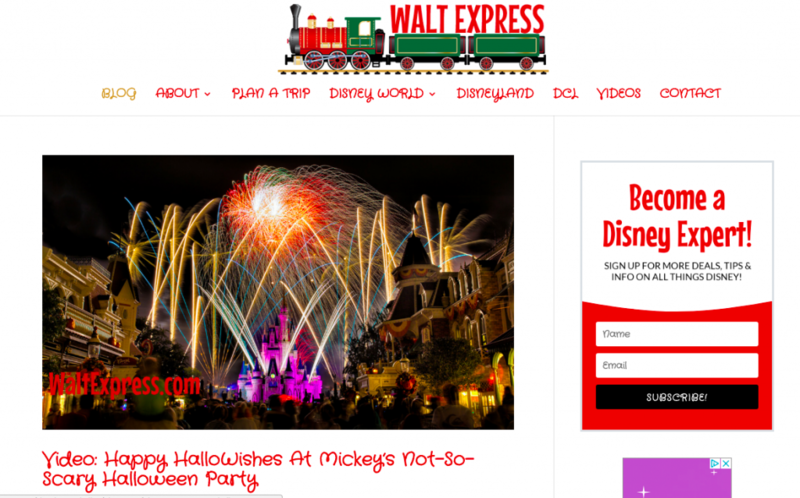 That is all this website is really geared for so if you are looking for any other Disney information or just a small fix, this is not the website you would go to. I personally love how much information is provided in just one article. But they also can throw a lot of information at you. I am not the biggest fan of the interface of this particular website because it is not the most user friendly if you are just looking for articles but it is still easy once you get the hang of it. This is another one article a day type of blog so you will be able to come back daily and get the most up to date information. Here is another one stop spot for everything WDW. 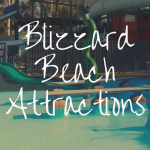 This is another website that focuses just on the Orlando area but covers everything from the best ice cream on Disney property to any new updates or construction at the resorts and theme parks. Keep your expectations high for honesty. It is something the site prides itself on. Even though they are your regular Disney fans they do not sugar coat how they feel when reviewing a new addition to the theme parks. I personally not only love the honesty (it makes it much easier when trying to decide if we should cut or add something) but also how they cover topics I would never think of especially when it comes to dining. This is another frequent poster! 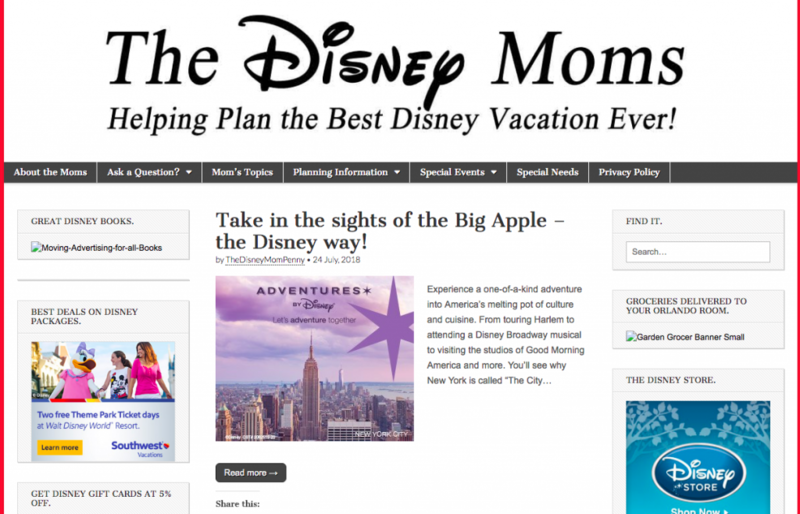 Expect to find multiple new articles a week to help with your Disney planning. They even have a page dedicated to that (which is linked here). AllEars has been on the internet for a long time, so they have the ability to have searchable information for years. 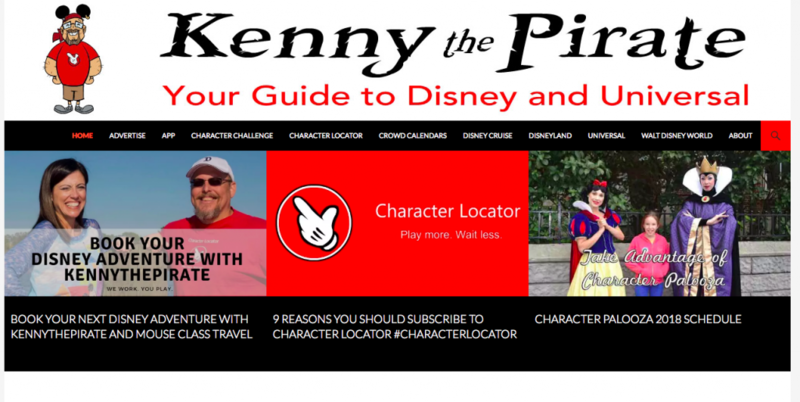 They also have multiple bloggers and viewpoints so you will be able to be overloaded with all of the Disney information you could possibly imagine. Expectations for AllEars should be at an all time high. The content is there. If you want something you are going to find it. Now keep in mind, this website is not the prettiest to look at and it is also not the most user friendly but the content is literally priceless.They even have their own “TV station” where they have information being streamed every week. Become familiar with this website because it will become crucial to providing information. New articles are posted multiple times a day from different bloggers. Every day you will easily find new information right at your fingertips. I don’t even know where to begin with this one, but this HAS to be bookmarked and preferred when booking your Disney World vacation. This is full of all of the information you could possibly imagine about Disney World. Want to know about Dining? Check. Touring Plans? Check. 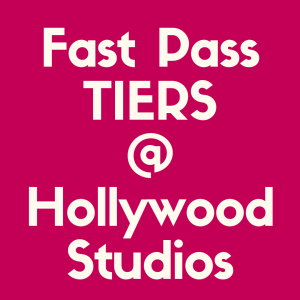 Fastpass suggestions? Check. Stroller reservations? Check. They manage to cover it all. Have high expectations. Literally every time you log on make sure you keep your expectations high. They even have a podcast! It is like they have managed to have a great one stop shop for booking your Disney vacation! I personally love almost everything about WDW Prep School. I can always find what I am looking for relatively easy. They cover topics I sometimes do not even think about and the website is incredibly easy to use. They even have a podcast! Daily. 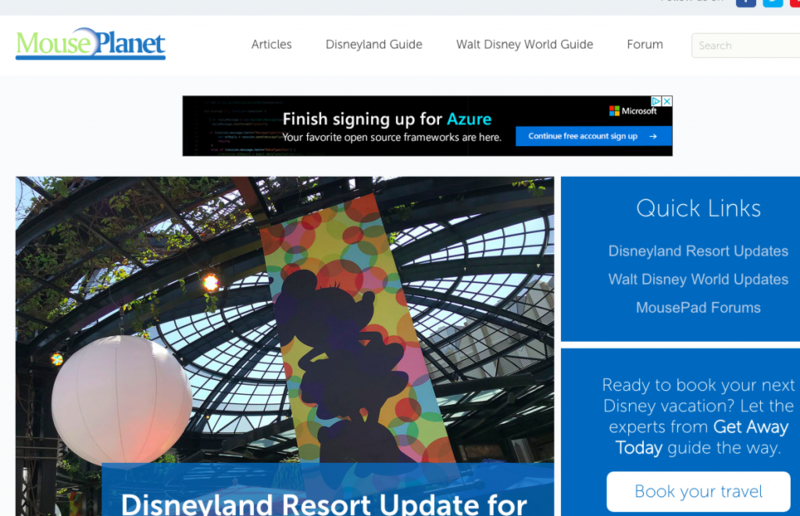 Another website that is constantly updating information so that you can always be up to date with your Disney plans. This is another website that covers all of your Disney needs. Not just for WDW but other Disney properties as well so you are able to always use this as a reference point. There is a forum and merchandise and other options available but the real selling point is the constant updates. 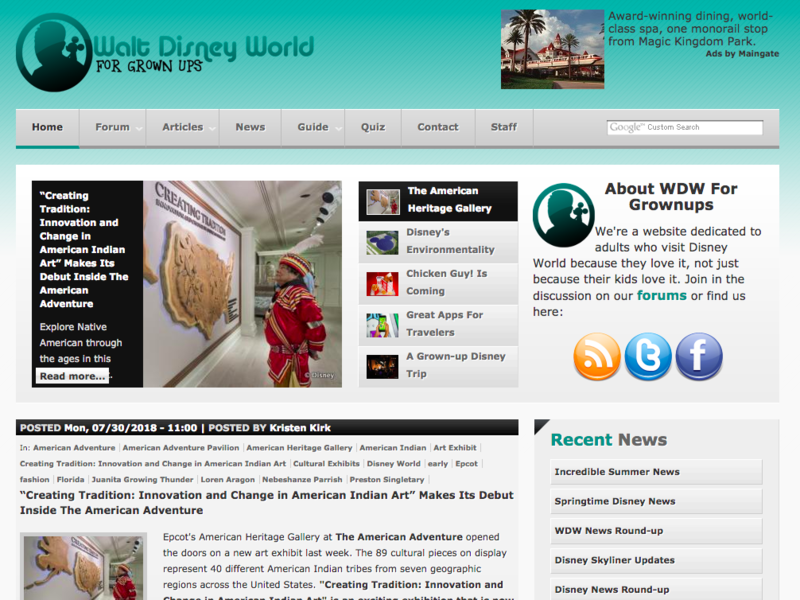 Look for WDWinfo to be one of the first sources to always have the most up to date information. While some blogs may take a day or two, this blog is constantly updating information. I love, well, the updates on the side of desktop page. They are constantly updating and providing the most up to date information for everyone on the website. There is a lot going on the website but I exclusively stick to this one just for my Disney updates and not so much for great content writing. I also always love the Rumor Roundup because who doesn’t like to speculate on what the new happening may be. They are another daily updater so you will be constantly getting new information on the go. This a mom centric blog about planning a vacation for the WDW resort when you are bringing your littles along with you. It provides plenty of packing lists and things to do when you are bringing your children with you during your family vacation. So instead of just a normal packing list, it includes some of the things moms may overlook. They have a lot of information for Disney with kids which is going to be invaluable information at your disposal. Keep your expectations within the normal range. This is nothing to brag about but it is something that most families should peak at so they are making sure they including their plans to include everyone within the entire family. It also presents realistic expectations. I personally love the mom lists. The packing lists that include everything for families. Also, I am a big fan of the Weekly 5 lists that appear at the top of the desktop pages. It adds something for me to keep an eye out for while in the theme parks. This is not a frequent poster. It seems like the website is someone’s side project so expect it to be updated about once a month and many of the articles are quite old, but still priceless. This blog is always a fan favorite. When you ask most people about their favorite planning blogs, this one will usually come up. And it should! The amount of information provided within the blog is endless. He also makes a point to break down all of the common Disney abbreviations. No more trying to figure out what an ADR is or EMH is! Dad’s Guide will break down everything for you so you will be knowledgeable throughout your trip. The expectations of this website should be high because you could probably book your entire vacation with just the information provided her, but you will only have one viewpoint so do not put all your eggs in one basket. I absolutely love everything about Dad’s Guide! He has the ability to make a vacation fun and seamless without the stress. There are recommendations for everything you can imagine and it is incredibly easy to navigate and read. This another frequent poster with consistent updates.. Constantly keep an eye out on this website. 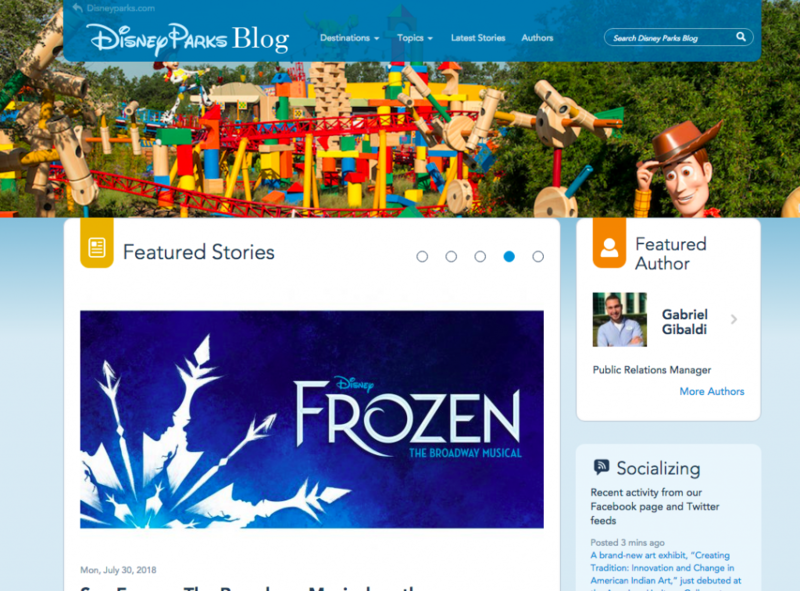 Welcome to the Disney blog—the blog that is all about…well…Disney! Now keep in mind they cover all Disney locations so pay attention and make sure you are referencing WDW and not Disneyland when you are reading any reviews or special events! The expectation should just be Disney. 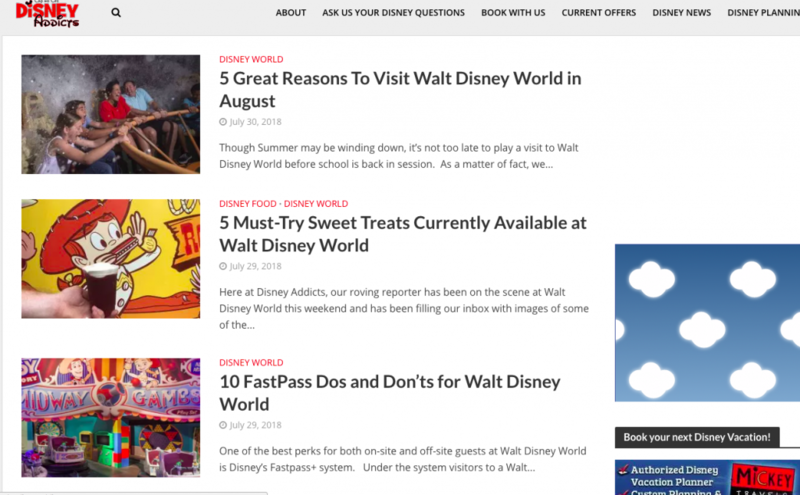 You will read about all different Disney locations and they provide easy to read articles. If you are into simplistic views, the website is so easy to read and navigate. 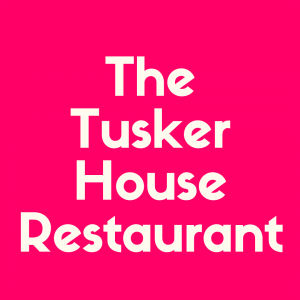 The reviews are honest and they keep them coming so you know what to expect when you get here or whether you should pay some extra money for that special event. They post daily and sometimes a few times a day. I recommend coming back regularly just for the reviews alone. 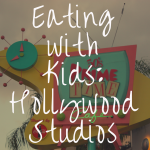 The motto of this blog is ‘Food is a theme park,” so make sure you make a stop here when planning your Disney vacation. They will provide you with everything you need to know solely about food! The expectation should just be food. Do not expect for this website to give you packing tips or what rides you should fast pass but instead where you should eat and the best drinks at the resort. I personally cannot imagine any vacation without all of the fantastic food I eat, so I love that someone created a blog exclusively for food. They even have reviews of the menus out before opening to the public, so always expect the best. Often. There is always new food at Disney to eat so make sure you come back regularly. 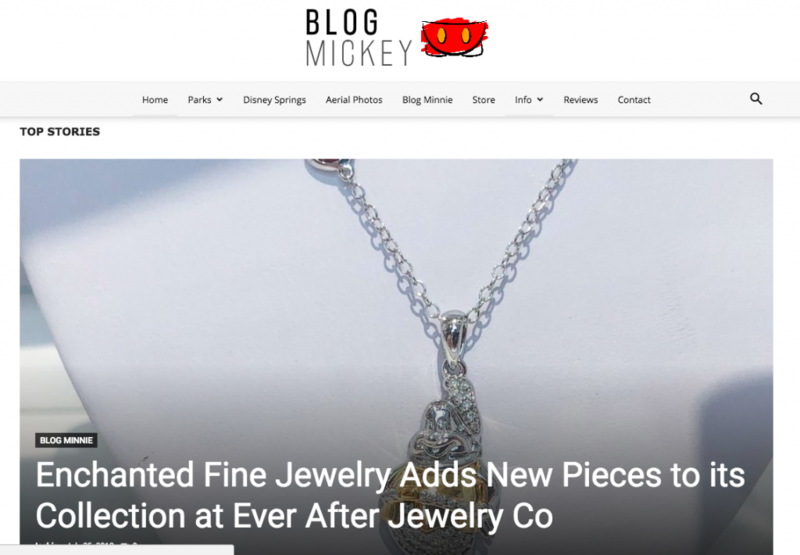 One of the newer additions I found was Blog Mickey and from the moment I found this particular blog, I was in for a surprise. Another Disney blog with lots of trips and tricks but one that also cover new merchandise coming out and has articles with video spoilers. Expectations should be high again because the articles are not only entertaining but provide a clear view of expectations that one can have within the park. I personally enjoy the ability to have spoilers about merchandise that is coming out. It is always something new and I can almost always find new merchandise that will be available in the parks right on their homepage. It is also very neat and easy to read with searchable features. 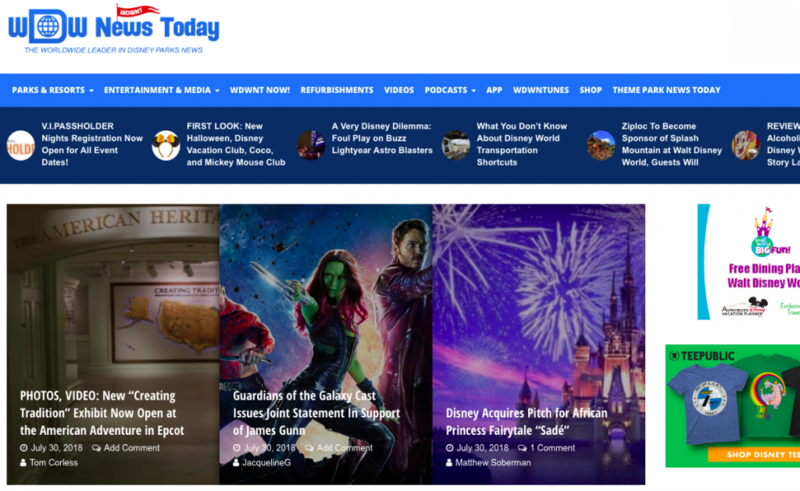 Multiple updates a day so you can alway go a full 24-48 and see new articles appearing for you to add to your Disney Knowledge. Now we have covered blogs for the moms and dads but what about for the grownups? That is where WDW for Grown Ups comes in! They cover Disney for the older crowd without making you feel childish because Disney is for everyone! Expect for the focus to be on adults and not the littles ones. This will give you a better angle on what is available that caters exclusively to adults and how to make the best of your time whether you have kids and are taking some time off without them or don’t have any kids at all! I personally always enjoy some time without my kids at the theme parks because I want to have some fun too. I always browse here to pick up ideas on what we can do without them and what will be the best adventure or special ticketed event if there is any. Also, love the spin on best place to eat without kids. One new article a day. So you can always come back and see the newest happening for the older crowd. I mean the blog name here clearly explains itself. It is a blog all about touring plans. 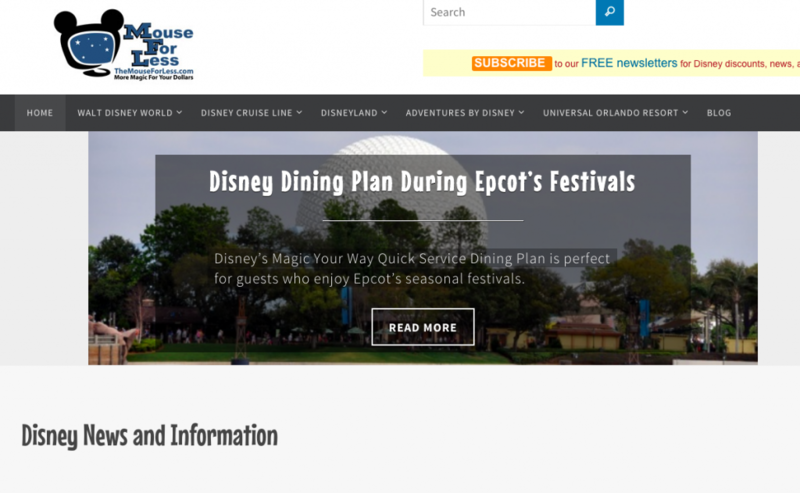 Now be careful when looking because they do cover the WDW and Disneyland Resorts within their site and it can be easy to confuse. They have everything from crowds calendars to explaining the fast pass reservation system down to the last detail. Expectation for this blog should be moderate to high. They cover everything from beginning to end so you will not be surprised by any last minute detail that may come up. I personally love the organization of the blog. I can click on WDW and a drop down menu will appear which will allow me to pick a subcategory for what I need. They also cover new merch that is coming out which is a must need for my knowledge. This is another one to day day posts on the blog so new information will always be readily available. I even hoped on there this morning and found recently released information from Disney which is always a welcomed surprise! Now this blog may not be the prettiest of all things that have hit the Internet, but the information is endless. So get over the amateur looking blog and dig in for some less than obvious blogs such as “Best and Worst Table Service Restaurants during the Summer.” Like, an absolute genius article that most people would have never ever thought of. Expectations should be money saving. They do a lot of pieces on how to do Disney World the cheapest and make the most of your vacation for the least amount of money. Well, this is one of my personal favorites because of the ability for the blog to have some interesting articles I would never even think I would need to know. They has have fun little Disney inspired activities you can do at home. You can expect about one to two new articles here every day. 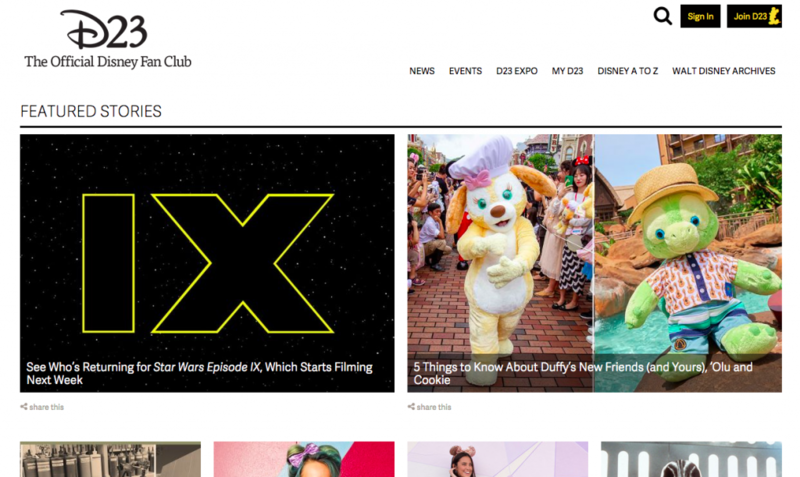 If you desire to be hammered with a lot of Disney News at the same time, this is going to be your website. 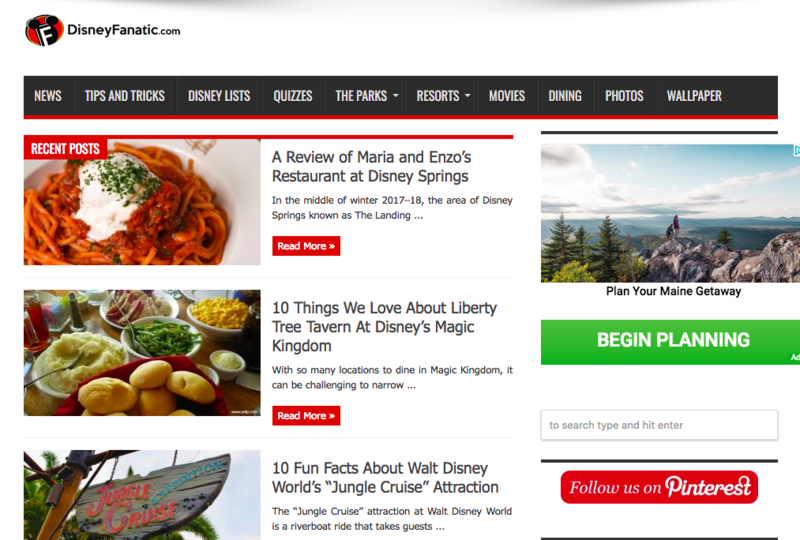 They have a lot of articles on the same subject area, so all it will take is a quick search of their site and you will have all of the WDW news you can imagine. Just also keep in mind they cover other Disney locations including the cruise line, so keep your eyes open to make sure you are reading about the correct resort. Keep your expectations at a lot of news. Sometimes you need to read a few articles from this website to get the full picture so make sure you set aside some time for yourself when using this blog. I personally have a love and hate relationship with all of the information provided, but what makes it easier is how the website is easily organized to help guide your journey. The frequency is going to be at least one article a day, but depending on the time of year (at the time of writing this article the Toy Story Land expansion had just opened) you can expect multiple articles a day. Now this blog is going to be great mainly for tips. They do have some reviews but I do find their tips articles some of the best you can find out there whether it is traveling with young children or how to articles or bucket lists. They have it all and I really enjoy using them as reference points when planning my vacation. Expectations should be high for the tips and how to blogs but keep them low if you are looking for reviews. They are a few but it seemed to never be a main focus point for the blog. I personally, well like all of the articles that are tips to mainly use as reference points. Also, the how to blogs are long and detailed which makes it easier to know what you can expect. The frequency is well, nonexistent here. There hasn’t been any recent blog posting since February of 2018, so do not expect any new information about the parks, but many of their tips lists are priceless which is why I always go here for a base line. 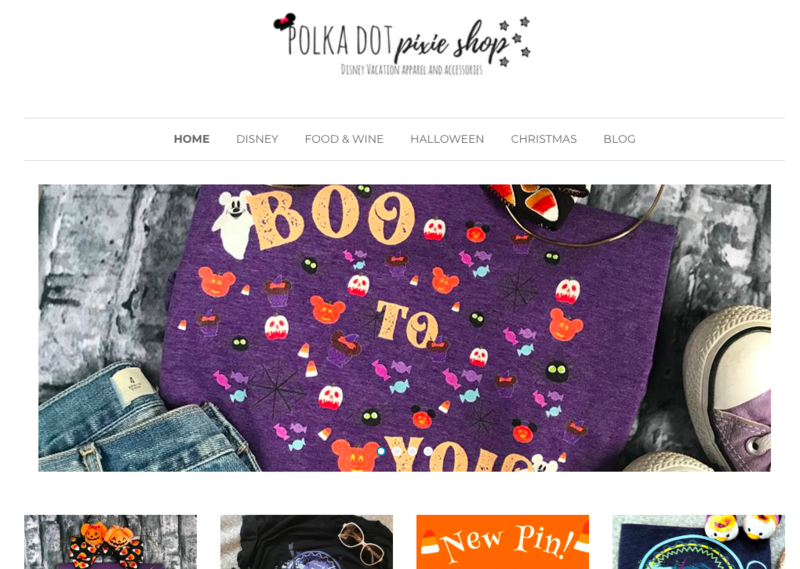 Polka Dots & Pixie Dusts is one of the new additions I have added to my bookmarked Disney blogs as a GO TO blog. Seriously, the blogs here are endless. They have quick and dirty guides on how to do certain theme parks, photo ops must dos and awesome reviews. There is always something new. I always have incredibly high expectations of Polka Dots and Pixie Dust and they never ever let me down. Especially when it comes to planning my time at Epcot’s Food and Wine Festival, they have some of the best guides out there on the web. Use them. I personally cannot rave enough. It is probably one of the few blogs I have zero complaints about. The website is easy to read and beautifully simple to look at. Everything has easy to see headlines that will grab your attention. You will have zero issues trying to figure out how to use their amazing information they provide. This is going to be another blog that updates once a day. You will always see new information quickly appear on their website so make sure you bookmark it when planning your vacation. They are considered the Official Disney Club and they definitely have the wealth of knowledge to prove that they are. 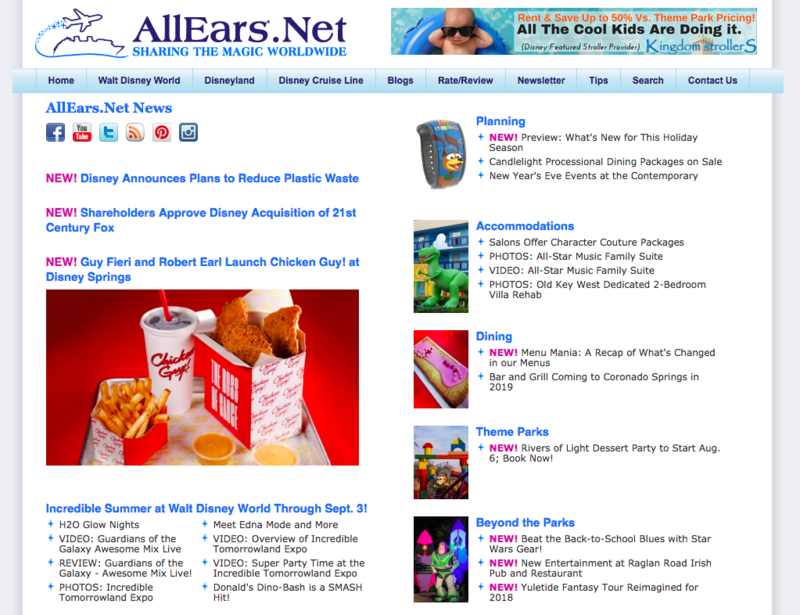 This is a website for all things Disney so you really need to pay attention that are reading about WDW when you are browsing the website. But if you are looking for all of the up to date happenings in all of the Disney universe, you have found your spot. Expectations should high because they are the official Disney fan club so you will be able to find out absolutely anything that is happening with anything that is Disney. Personally the downside of having all of this Disney information right at your fingertips is having so much information available all at one. There is a lot. It is double edged sword. Also, it isn’t just about Disney world so you have to do some digging to get the information you want. But when I want to know about the up to date information about new movies or shows or projects, this is where I go. All the time updates. It is daily. You can always find out what you need to find out on your own browsing time. Now this blog is a little different because it is mainly in the form of podcasts. If you find it easier to listen about how you plan your Disney World vacation this is going to be the spot for you. There are multiple topics and they are broken down into categories on the home page. Expectations should remain that you will only see podcast style blogs. If you are looking for long wordy blogs this is not going to be a stop for you ever. There isn’t much information available for you. I enjoy being able to drive in my car and listen to some Disney Planning vacation tips so this is definitely something different for when I am tired of spending all of my time reading. This is a once a week style so do not bother coming back here daily and expecting new information. Here is going to be a spot solely for the WDW which is always easier when trying to plan your Disney vacation. They have a bunch of lists and cover some of the resorts so you need to be careful when looking for reviews that they are covering what you like. But you can feel comfortable knowing that all of the information is going to be geared towards the WDW resorts. I would not have incredibly high expectations of this particular blog. They have a lot of great information and some good Disney Lists but it feels more like a hobby that someone keeps up on the side because they love Disney. I really like that they have Disney Lists because for some reason, these blogs come up with things I really could never imagine and they help me pick better activities for my family. I would say maybe one a week. This is a blog you definitely can go a week without visiting and not missing much. Mouse Planet is going to be another one of those Disney websites that cover all things Disney. They have a Disneyland Guide and a Walt Disney World Guide, so as always make sure you are paying attention when browsing for some information. They have Quick Links so you can easily search whichever park you want. Expectations here should also be of the mild kind. This is a great guide with a lot of information about Disney World but they do not really cover all of the latest and greatest that is available at the theme parks. 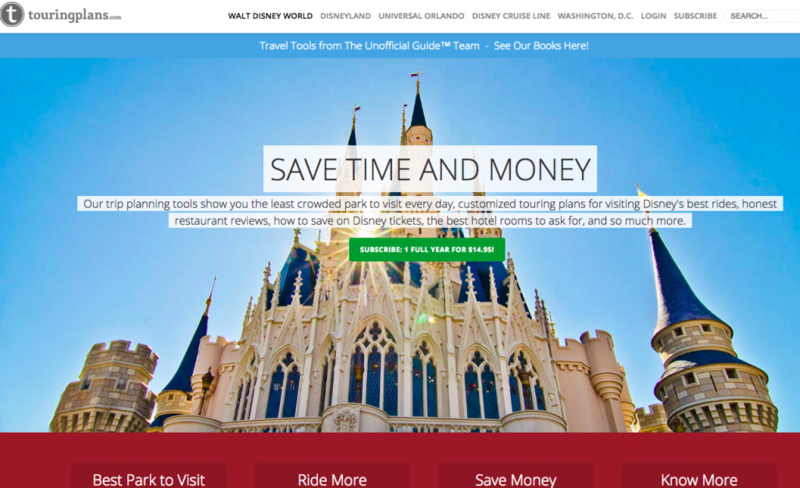 I personally am a big fan of their main Quicklink Guide for the Walt Disney World Resort. It provides so much information in one spot, I usually recommend it for people trying to just figure out the basics on what to expect and as a touch point for reference but nothing to hold onto long term. Not often. They have some updates but this would not be a blog I would check back regularly. When perusing through the internet for my favorite Disney Blogs I did come across something new. Another Disney blog that features multiple DIsney properties so make sure you are paying attention to which resort you are reading about. They have new up to date information about extra ticket events which is a great plus. I now have really high expectations for this particular blog. It has a vast array of information and review. 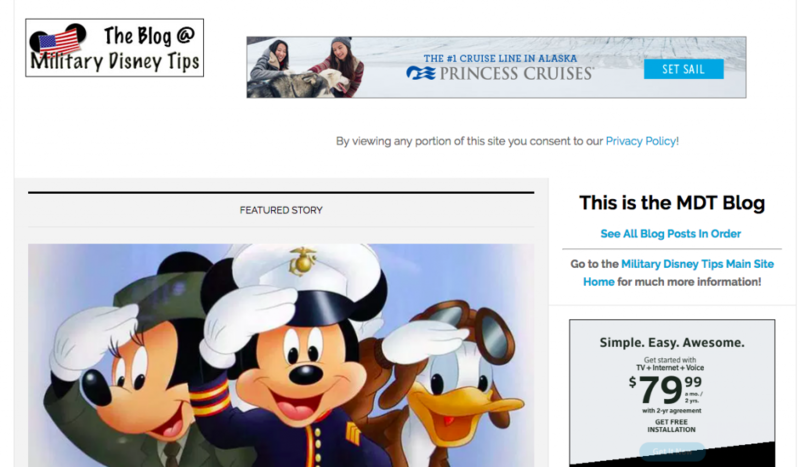 They provide articles about how you can save on your vacation so it can be seen as a one stop shop for all of your Disney needs. I personally love how they update blogs. Instead of having to read multiple blogs with updates, they just update their previous blogs which provides all of the information in one convenient space. The are constantly updating and posting new information daily so you can always expect to find new information on a regular basis. Here we have another Disney blog which always features one of my favorite lists, the “rumor mill” lists. I love coming here to see what may be added to WDW and they also have some fantastic deals and discounts that are always being updated. Expectations should be high. 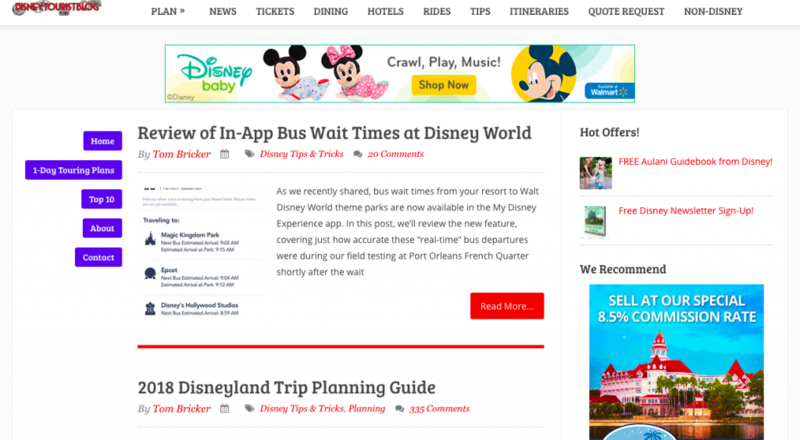 They seem to cover so much information including articles on things just for adults, tips with kids, multiple articles on the memory maker and the new app that is crucial if you are going Disney now. So do not hesitate to set aside some time just to visit this website. I personally, well have spoiled you with so much that they already have to offer. They are is plenty of information available. And there is nothing more that I love than Disney Lists and Top things to do lists which Disney Addicts does have an endless supply of. They are constantly posting and updating so this is going to be another frequency with multiple new blog posts a day. If you are a military family trying to make the best of your Disney vacation, here is going to be your guide with all of the endless tips that are going to cater to your unique set of circumstances. There are endless articles here which should answer all of your questions and one of the best parts is that they even cover the Shades of Green Resort! This is going to be an all military site so unless you are military, do not try to use this blog for information. The expectation has been set from the start that this blog does have a very unique audience. 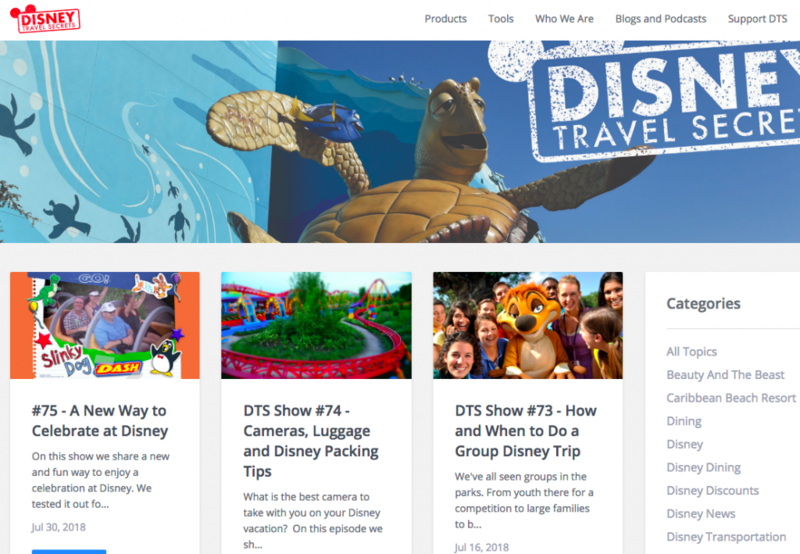 Having a website cater to just your needs is crucial when going to Disney world so finding out that there is a website just for military families is fantastic. 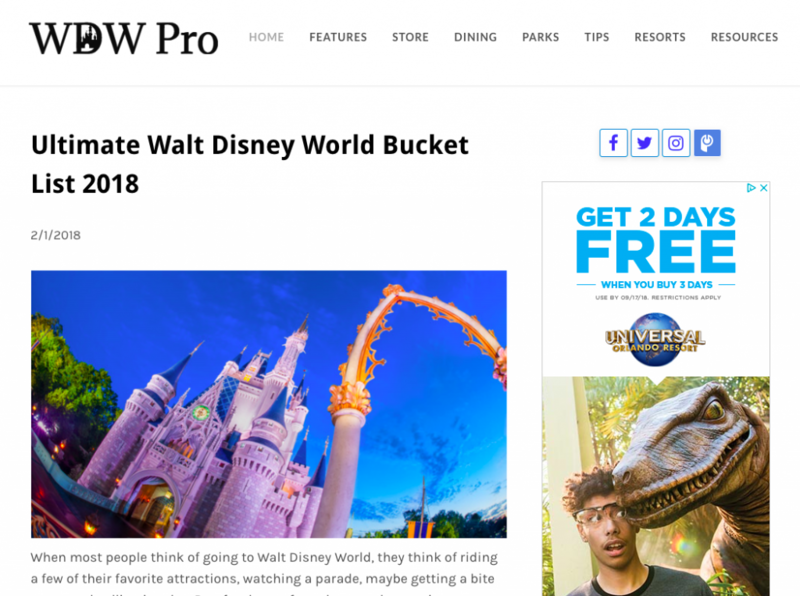 Although be careful once again that you are reading articles about WDW because they do cover multiple Disney properties. They have new articles appearing regularly but they are not a daily updater. Here is another blog that is not for you eyes, but for those Mickey Ears! This is a podcast style blog that covers anything you could imagine about your WDW vacation. It is all about the tips and tricks. 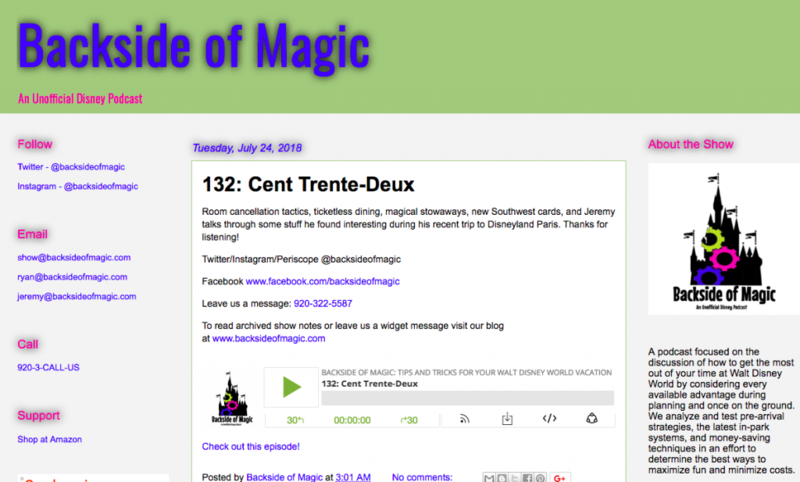 You can expect podcast style blogs that last for a minimum of about a half an hour that cover a different topic each week that somehow relates to the WDW resorts and vacations. I personally enjoy having an alternative to just the run of the mill visual blogs and it allows for you to feel like you can really connect with someone about your WDW vacation. This is going to be a weekly update so always stop back once a week, see what the topic is that is being discussed and if it can help your family while booking or at your Disney World vacation and give it a listen if it applies to you. Here is another spot to find a boat load of Disney World information, but it is more in the form of reviews and information about what is going on at the WDW. 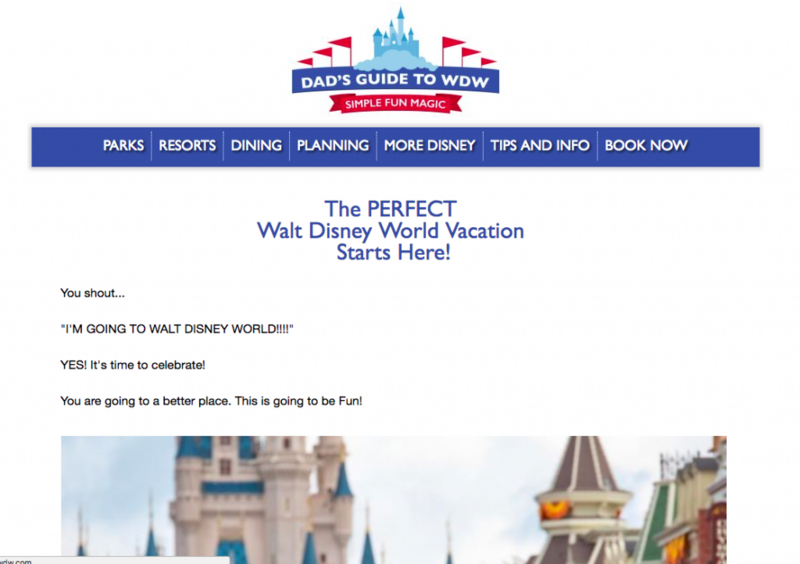 I would not expect much from this website when it comes to actual vacation planning but they have so many reviews that it is great when trying to figure out what restaurants you want to eat at while on the Disney property. Basically what I like here is the reviews. 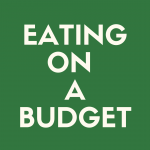 To me there isn’t much other offered that I cannot get from other websites but they do provide some grreat reviews when figuring out where we are going to eat or what is the best meal for the amount of money we want to spend. 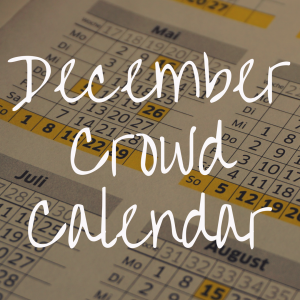 They also have fairly accurate crowd calendars. There are new blog posts here every couple of days so expect to see new information pop up every once in a while. Another one stop shop for all Disney World all the time. Seriously they have blog posts of everything you could ever imagine. They have all of the new openings covered right away. They have new events that are coming to the park and openings. What is happening there daily. I mean I seriously could never imagine that one blog could cover so much information. The expectation should be sky high. Like you will never ever be let down. When Toy Story Land had their grand opening, this was the first blog I checked to see what was going on. I personally love how many pictures they provide about new events, the amount of articles they have covering one topic and their abiliy to cover all aspects of new opening is something that I really love. And the website is so pretty to look at! There are 3 or more posts a day so just expect a lot of information coming at your all at once, every day. WDW News is literally what is sounds like. 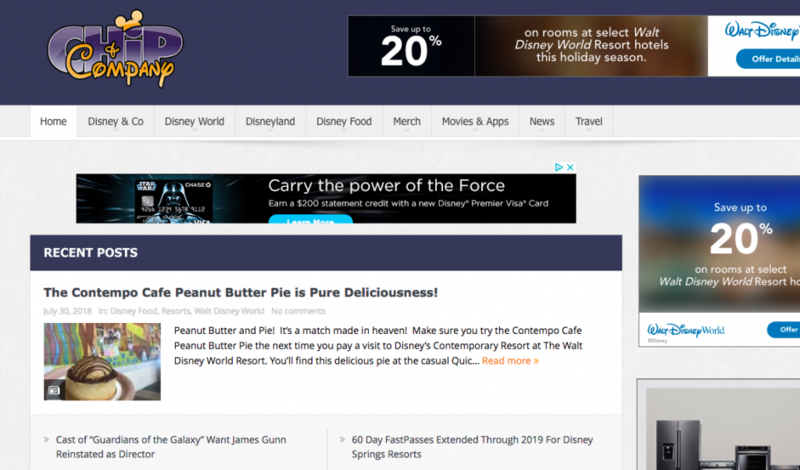 Basically it is a new sources for everything about the WDW Resort. If you are looking for you fulfillment of Disney while at home, or articles to get you pumped and motivated for what is new at Disney and to get you planning your next vacation, this would be a regular for you. They also cover a lot of general Disney news like new movies coming out and other updates as well. The expectation here should be news information. 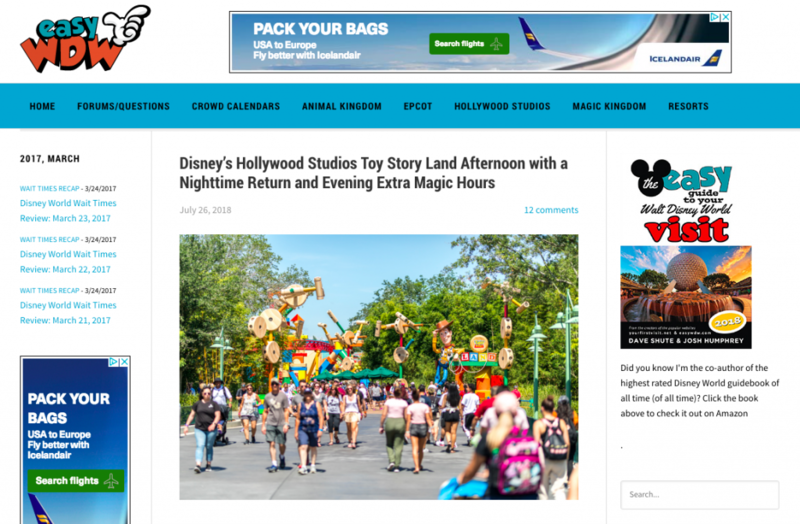 You will sometimes find some fun blogging or vacation planning tips but otherwise it is like you basic news programming just focused on Disney World. I personally need to know everything that is up and coming at Disney World so for me, this is always a must when I am not planning a Disney vacation. You will find at least 2 blog updates a day but some days can be more. This blog to me is a mixed bag of nuts. There is a wealth of knowledge available but there he is also trying to push his app and travel agency so it is important to use your best judgement when reading all of the blogs that are available. Travel agents do have some awesome information so it is great to read the perspective from a travel agent. The expectation should be skeptical when browsing through. Use your best judgement to see which blogs will help you and which ones may just be pushing a product you may or may not need. I like the amount of information provided about vacation packages and that in the comments, you can see people asking questions and Kenny providing them answers that will give even more insight. There are multiple blog updates during the week, but this website is not one I would check regularly. So this falls into the category of new blogs that I have found. It definitely covers a lot of the Walt Disney World (and other Disney properties) so you can always pop over here for some Disney Reviews when trying to figure out what resort you may want to stay at. I would keep the expectation low. The articles were either too short or long and wordy which can make it difficult to understand. I personally just enjoy reading other people’s reviews so that is the main reason I liked this site. Not often. They really do not update much so do expect loads of information here. 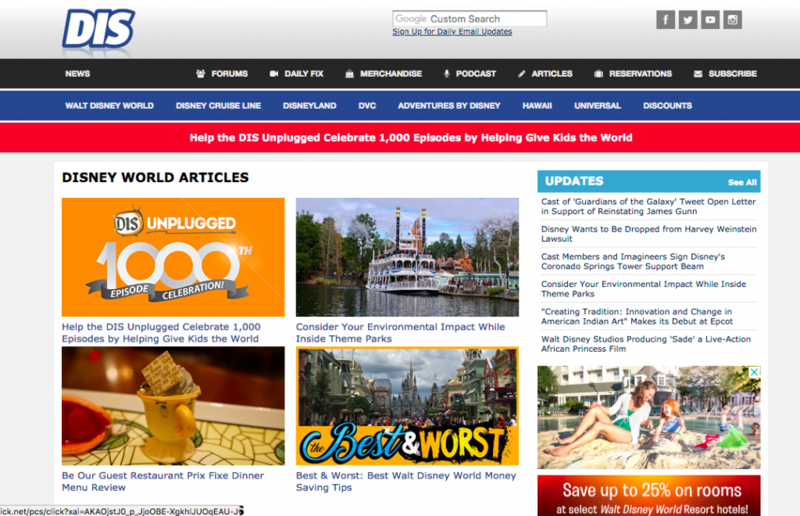 This is a website that focuses on Disney World and Disneyland. 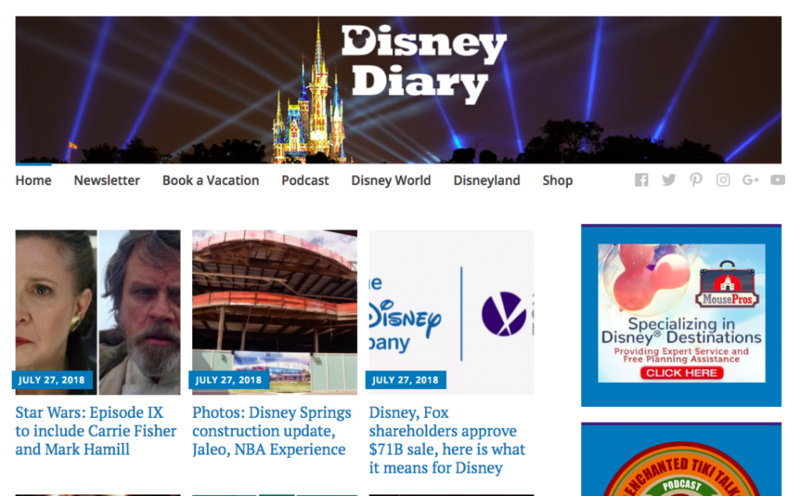 It is another website full of Disney updates, hacks about how to plan your Disney vacation and covers everything you could possibly imagine. Keep your expectations high here as well. The website can be hard to manage but once you get the hang of you, it will unlock tons of information. I like how they always go above and beyond. They even add information about the Disney app and updates that come out which always goes above and beyond in my opinion. Multiple updates a day so you will always have access to new information that is coming out. 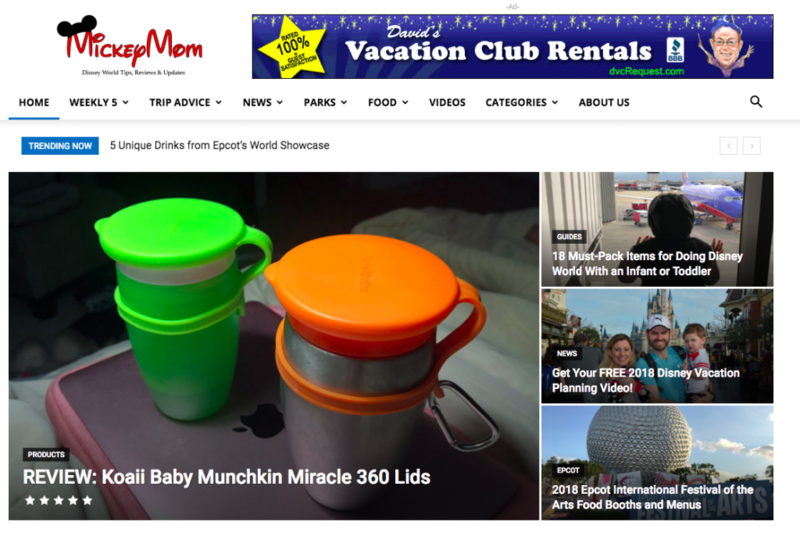 Here is another niche site that is available which focuses exclusively on Disney Vacation Club. Whether you are already a owner or looking into becoming one in the future, this is going to be a blog that will work to your advantage. Expectations should be of the medium range. 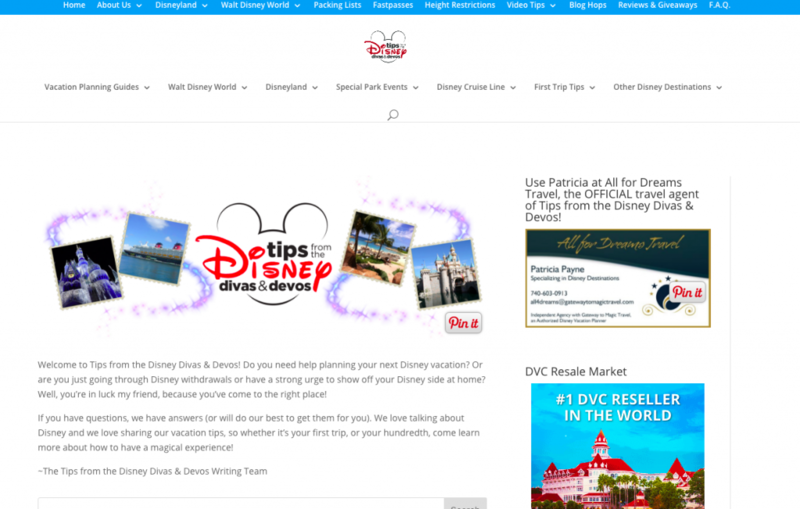 There is lots of information but it is very specific to DVC so it would be one of many sources you would use when planning your Disney Vacation. I personally enjoy any blog that can manage to cover one topic thoroughly like here. It provides the ability to keep the focus and cater really to their audience. They update every few days so you do not have to check this website every day to keep up. Do not be surprised, but this is another website covering multiple Disney properties so keep your eyes open and do some searches. They have some great guides on how to do different events at Disney World. Your expectation should be of the medium to low. They have a lot of articles and information but they lack in consistency. The biggest pro was how the had a lot of information of promotions or free dining that is available. The last update was in May, so I would not expect daily or even weekly updates here. I expect that everyone should in particular read about their most recent rainy vacation. They provide some of the most realistic expectations on the internet. I personally love the honesty. A vacation that can wrong or right is always right around the corner, so take the time to read. I always enjoy going to reading the most recent vacation they took to see what is going on. I mean we all want to live at Disney, but we do not so the updates are focused along when they take vacations. 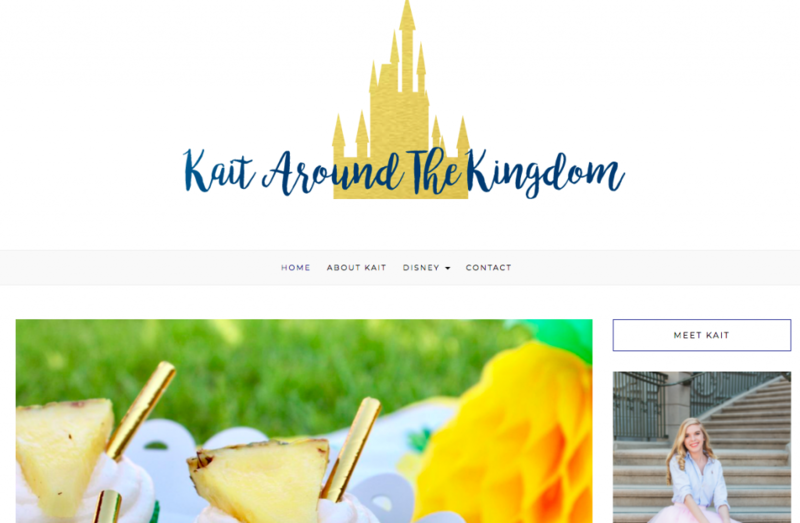 Kait is a Disney lifestyle blogger who covers all topics Disney. 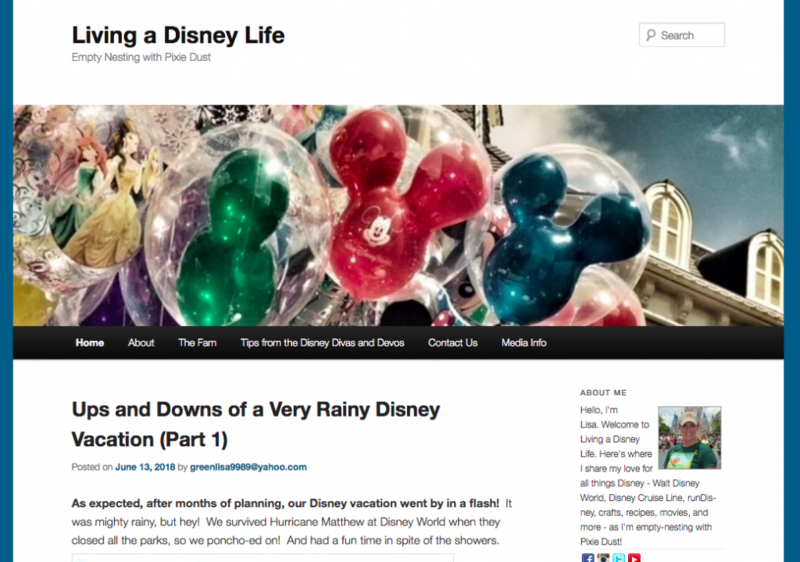 While she does happen to focus on Disney World a lot, her blog is a perfect way to get your Disney fix even when you are not at WDW itself. 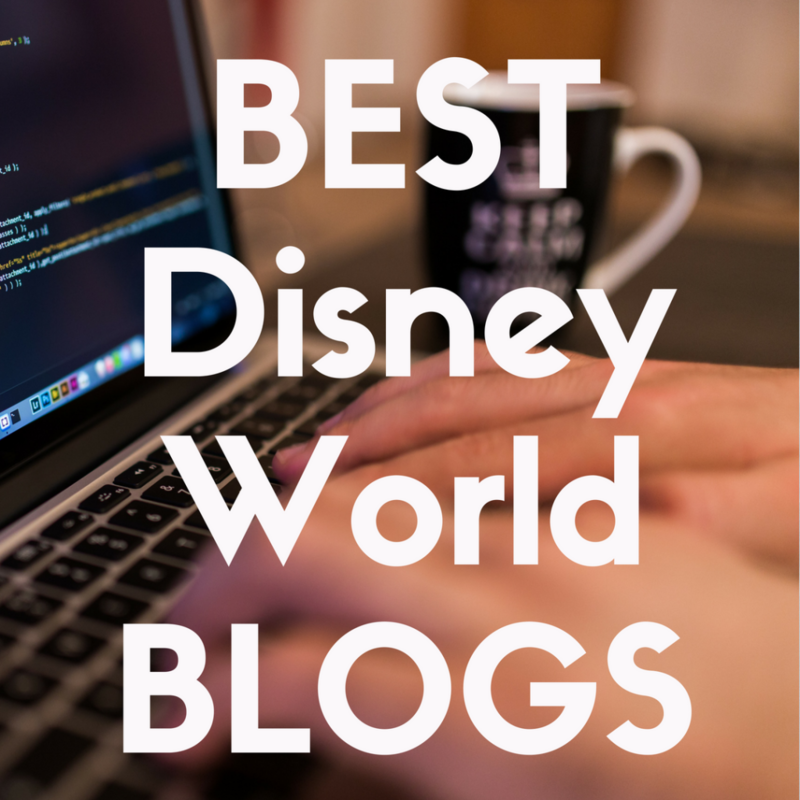 Do not expect to find just Disney World blogs here. Everything Disney will be covered and she loves to make lists about movies and Disney fashion as well. Being a Disney addict myself, I love that I found a blog that not only talks about Disney World itself, but also all of the fun facts that come with the entire Disney universe. Every few days there is a new update so expect to see new blog posts throughout the week. I mean the title explains itself, this is all for people who are mad about the mouse. There is plenty of information about how your vacation at the Disney parks can be planned and they were cover one offs like what you should do if you lost something at the parks! I would have normal expectations, nothing amazing but not horrible either. It provides just the right amount of information to help guide you in the right direction and feel prepared. I personally enjoy how they find some topics that you would not actually expect and have it right there for you to search. They do update very often so this you could visit once and know enough. This blog is another dedicated exclusively to families and has so many options to find out what would work best for you family. So basically if you’re a mom looking to plan the best Disney vacation ever, this should be one of your stops. Expect lots of information geared towards families. If you have no small children with you, you will find no use for this site. Having small children I love any blog to focuses on kids and families but I also like that there are multiple bloggers here so you have plenty of perspective. They aren’t the best at keeping up with no posts. Sometimes they are a few a month and then they can go months without posting so this definitely would be a secondary blog to use. 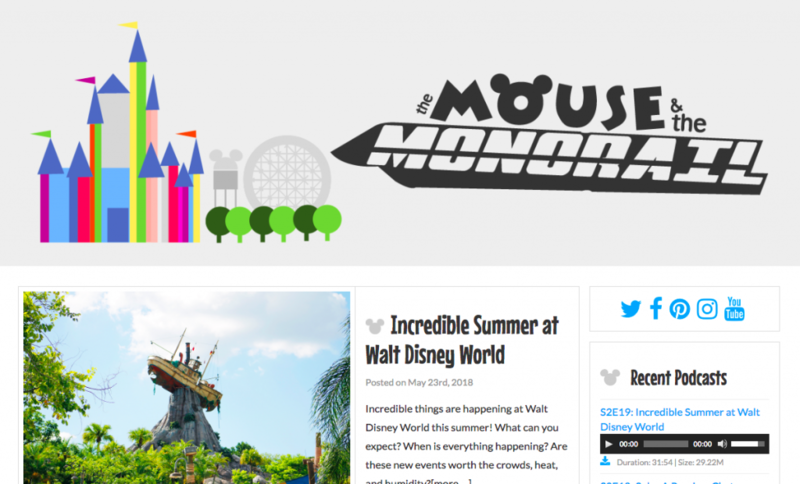 So now that we have gone through the best 38 Disney World blogs on the Internet, hopefully you feel better informed about where you can go to get your important vacation-related information!